When a new version of SOLIDWORKS is released, most users choose to perform an upgrade on their machine. However, what if one of your customers is still stuck on an older release, while you already made the upgrade? If you are caught in this situation, there is a way to keep a previous version on the same machine. 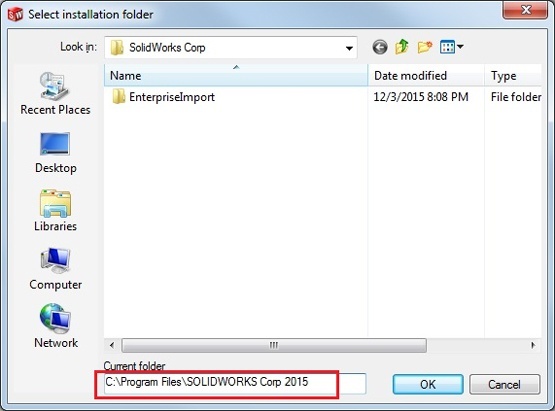 SOLIDWORKS has an option to install previous versions of the software without losing any existing installations. In the steps below, I’ll demonstrate how to install the 2015 version of SOLIDWORKS on a machine that already has either a newer or existing version. Step 1: First, we’ll run the setup.exe from the installation media. Step 2: On the welcome screen, select the Individual option and then next. 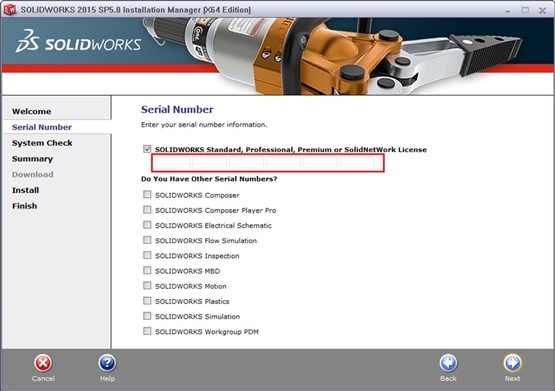 Step 3: Enter the SOLIDWORKS serial number and then click on Next. If additional serial numbers are needed, please check the boxes below to make sure they’re entered. NOTE: This may be prepopulated from a previous install. 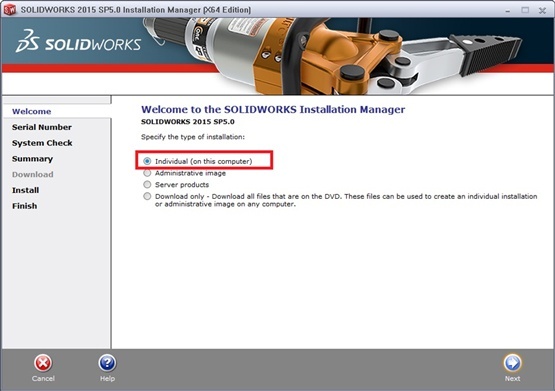 Step 4: When choosing an installation option, select the Create a new installation of SOLIDWORKS and then Next. This will install the SOLIDWORKS version on the machine while keep existing versions as well. 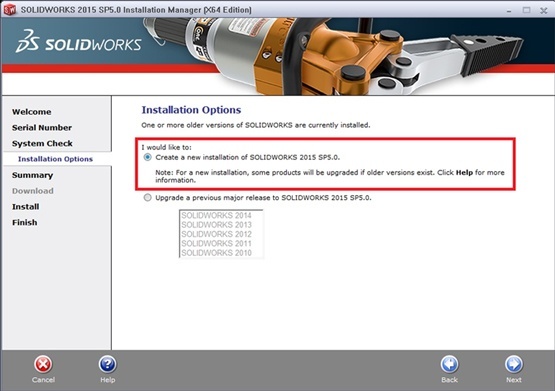 Notice below, SOLIDWORKS does recognize previous versions already installed had we chosen an upgrade. This example will install 2015 while keeping the existing versions. Step 5: On the summary page, there will be a screen that summarizes the settings for installing another version. 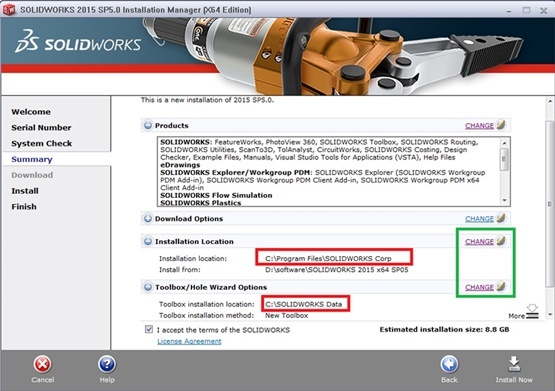 The two file paths highlighted in red below are for installing the main SOLIDWORKS software and the toolbox files. 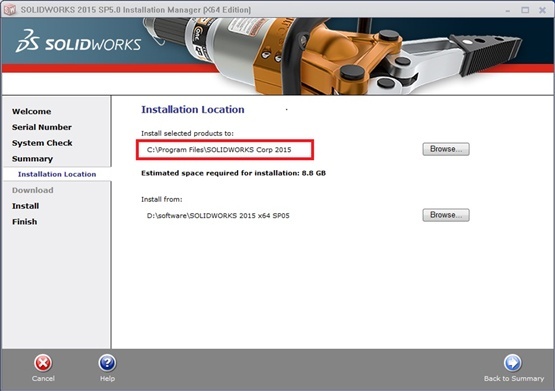 Our recommendation would be to change these locations to differentiate the SOLIDWORKS versions. Step 6: By clicking on Change from the previous screenshot, there will be an option for modifying the folder names for these paths. Choose Browse to edit the folder name. Step 7: Add 2015 to the end of the file path and click OK. If it tells us the folder does not exist, select Yes to create a new folder. Step 8: Notice that the folder name has been changed. Click on Back to Summary to return to the previous window. Final Step: Repeat the same steps for the toolbox location. Once finished, both the installation and toolbox locations now have the version year in their respective paths. Once we verify the rest of the options, we can go ahead and click Install Now. Q: If I had, for example, 2015 installed and wanted to install 2016 (a newer version), can I install 2016 and keep 2015? Yes, repeat the same steps above to install a newer version without upgrading. This would theoretically keep both 2015 and 2016 on the same machine. Q: Why would a user want to keep different versions on the same machine? Shouldn’t they always be on the latest release? Some customers may not have had a chance to upgrade, or certain customer’s work with vendors that are still on different versions. Older versions of SOLIDWORKS files will work with the newer versions but not vice versa. Therefore, keeping different versions of the software allows customers to work with their vendors accordingly. Q: How is my serial number affected? Does it take up an extra activation? Is there an extra cost for keeping multiple versions of SOLIDWORKS on the same machine? This is one of our favorite questions because the answer may not be what you expect. Many people have misconceptions about a previous version tying up a license. Here’s the good news: keeping two or more versions on the same machine will use the existing serial number currently on the machine and will not take up an extra activation. We can theoretically have multiple versions opened up at the same time and it will still take up only one activation. This applies to both a standalone and network license. Q: Will there be any issues with settings and other related products if I keep multiple versions of SOLIDWORKS? One important note about the link mentions the service pack rule. We cannot keep multiple services packs of the same version on the same machine. Q: Is there a way to copy settings from different versions (ex. toolbars, shortcuts, etc.) using the Settings Copy Wizard? The answer is no, they cannot be used in an environment with a different major version. Note: If it is the same major version, the Settings Copy Wizard can be used regardless of whether the service packs are different, but it is preferable to use the same environment if at all possible. Jackie Yip is an Application Engineer at Alignex, Inc. and contributor to the Alignex Blog. When Jackie isn’t assisting customers on the Alignex Help Desk or teaching a SOLIDWORKS Essentials class, he enjoys road biking and keeping up on the latest tech trends. Find more tech tips and blog posts by Jackie Yip on the Alignex Blog.